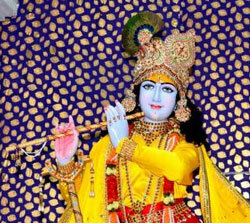 This is the transcript of a discourse given by Shri Kripalu Ji Maharaj. In order to fulfill our aim in life, three things are absolutely essential: human birth, guru and desire for divine love. Number one is human birth. 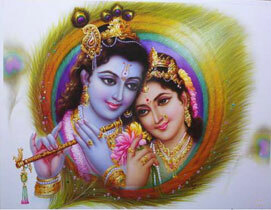 Our ultimate aim is to attain bliss, i.e. God, and this aim cannot be realized in any other form of life. Only a human can attain his ultimate aim by employing the appropriate means and methods. But we have failed to realize our aim despite being blessed with the human body countless times. In fact, we did further damage to ourselves when we were born human. How did we incur further damage? Only humans attain the fruits of their actions. All other forms of life are 'bhog yoni', i.e. other creatures only taste the fruits of previous actions. In the human birth there is 'karm' as well as 'bhog', i.e. while we taste the fruits of previous actions, we also enjoy the right to perform further actions. A human possesses greater knowledge than other creatures, and if this knowledge is not utilized properly, the individual will travel in the wrong direction with great speed. There are many sins - stealing, telling lies and hurting the feelings of another - and a human can commit these sins very effectively. Animals cannot. I ask you; can a dog commit theft? If a dog snatches something from you, he will do it in plain sight. A human, on the other hand, can steal money that is locked up safely in a bank locker. His knowledge is far greater. And to commit a sin one needs knowledge. Just as knowledge is necessary in the performance of good deeds, it is necessary to have knowledge if one wishes to commit immoral deeds. The more knowledge you have, the more capable you will be to commit sins. We have committed innumerable sins while being blessed with the human birth. This is how we spoiled our condition further. Why does he say that there is no form of life like the human form? His words carry a double meaning. One meaning is that there is no form worse than the human form; the other is that there is no form better than the human form. Saint Tulsidas is being very clever in saying that all creatures desire the human form, because it is easy for a human to attain hell. Why does he write this? What he means is that humans possess superior knowledge. However, if a human is careless and does not go towards God, he will commit sins and will attain hell after death. So, first he mentions hell. Next, he mentions heaven. If an individual is a little knowledgeable he will strive towards heaven. These are the people who follow the path of karm and dharm. Next, there are those who are still more intelligent. They desire liberation. There are three kinds of actions - virtuous actions, immoral actions, and actions that are beyond virtue and vice. Virtuous actions lead one to heaven; immoral actions lead one to hell; and actions that are beyond virtue and vice (those of the gyani), beget liberation. Then there is something even beyond liberation, and that is devotion equipped with knowledge and dispassion. It is possible to attain any one of these four when one attains the human birth. This is why the Vedas, Vedic scriptures and Saints have glorified the human birth. There is no other form of life attaining which we can fulfill our ultimate aim. Thus, number one is the attainment of the human birth. Number two is the association with a guru. Not meeting with a guru, but association of a guru. Though we have met innumerable gurus in countless lifetimes, we have never associated with any guru. We approached saints, bowed to them, listened to their lectures, nodded our head in agreement, and that is all we did. We did not put into practice what they taught us. We kept our mind attached only to the world. Thus, number one is the attainment of human birth. Number two is the mental association with a guru. Both are dependent on God's grace. The first grace of God lies in the fact that He mercifully grants the human birth to the soul. The second grace of God lies in mentally associating with the guru. Not in meeting with a guru, but associating with a guru. This is possible only through the special grace of God. 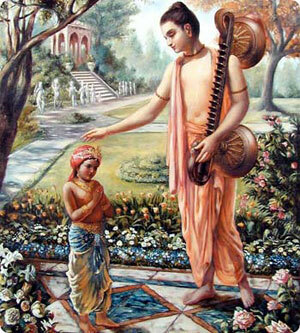 If we fail to associate with a guru, we will gain nothing. There may be a huge variety of foodstuff in front of us, but if we neglect to eat, we will die of starvation. If water is in front of us but we fail to drink it, we will die of thirst. In the same way, it is not enough to meet a guru; we must surrender our mind and intellect to the guru. We must attach our intellect to his intellect. In this lies the second grace of God. In countless past lives we have met countless saints. They explained true knowledge to us. We have thus been blessed with these two graces. It is due to these two graces that you people are sitting here today. It is not your doing. Reflect upon this in private. Think to yourself, "What did I do as a result of which I was blessed with the human form, and attained true knowledge?" How many Vedas and Vedic scriptures have you studied? How is it that you were blessed with these two graces? However, despite being blessed with the two graces of God, we have not yet reached our goal. This is because the third grace is also necessary. That third grace is the desire for divine love. In other words, it is not enough to have wonderful food in front of you; you must also have the desire to eat it. We must have the intense desire to attain God. Adi Shankaracharya calls this desire 'mumuksha'; the saints of Braj call it 'laalasa'. It is known by many names. You may call it hunger, or thirst, or intense desire or a strong yearning in which one is no longer able to live without the object of desire. There are many levels of desire. There is ordinary desire. "It would be nice if I could get it." Then you try a little and then give up, thinking you will never get it. Or, you may pursue actively what you desire. In the same way, everyone has a different intensity of desire when it comes to attaining Divine Love; and the intensity of desire is directly proportionate to one's level of detachment from the world. And the level of detachment is directly proportionate to one's knowledge. The knowledge that mother, father, son, wife, husband, wealth and the world, are not what the soul desires. The soul is divine; it is a fraction of God, and the world is made of Maya, and as such, it is material. The knowledge that God has created the world for the sake of the body, not for the sake of the soul. If this knowledge remains 100% in our mind at all times and in all places, then we will develop the desire for divine love, and will become detached from the world. In order to become detached from the world, you will have to practice thinking - the world is not mine; the world is not mine. At the time of death, a person thinks, "Oh! I am leaving behind my mother, father, children, and my property. I am leaving all this behind and going all by myself." How must a dying person feel! You will also die one day. How will you feel at that time? Think about this in private. How will it feel to go all alone, and to take only your actions with you? No one will accompany you. Only the good and bad deeds you have performed will go with you. Thus, if our desire for divine love is very intense, we will attain our goal very quickly. We have attained two things: human body, and knowledge due to associating with a guru. Now, we must work at attaining the third thing. That third thing cannot be given to us by God or by guru. God has done His work; He has given us the human body. The guru will do his work. He will give us knowledge of scriptures. The knowledge that we would not have attained despite reading the scriptures for billions of years, is explained very easily by the guru. Beyond this is the third thing. 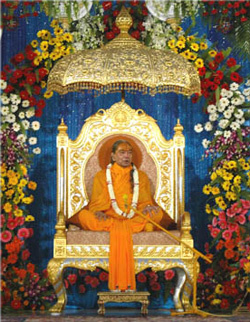 Practicing devotion, making an effort to meditate on God - this will not be given by God or any guru. If God and guru could give this to us, then countless souls of innumerable universes would be with God and not in the world. The fact is that God is 'Sattya Sankalp'. The best quality of God is that He is Sattya Sankalp. This means that whatever God thinks, comes into being. There is no need for God to do anything; He has to merely think. Of course the Vedas use words such as 'Smitam', 'Veekshitam', and 'Suptam', meaning that God looked, and God smiled. No, no. He did not smile. He merely resolved. God merely thought. That's all. Whatever He thought, came into being. He thought, "Let there be creation," and creation came into being. He thought, "Let there be destruction," and countless universes were destroyed. God thought, "Let the innumerable universes be protected,' and it was done. He resolves to assume a body, and He is with form. 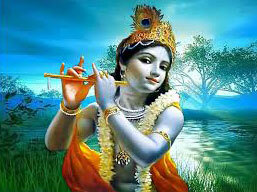 He resolves to become formless, and He becomes formless. The greatest quality of God is that He is Sattya Sankalp. His saints are in the possession of this power as well. The eight qualities that are in God's possession are given by God to His saints also. But despite possessing this quality, neither God nor His saints can resolve, "Let countless souls attain God-realization; may all go to the divine abode, Golok." If a saint could make such a resolution, we would all attain God-realization free of charge. Saints work very diligently for our sake. They write scriptures and make such great efforts for our benefit. Why make such great efforts? Why not simply make a resolution? No, no. We will have to do the work. We have already wasted innumerable births waiting for God and Guru to do all the work for us. Now we must renounce our foolishness. We have to make the effort. The individual must make the effort to go forward and progress towards upliftment. He must not go down; i.e. he must not become controlled by Rajogun (mode of passion), Tamogun (mode of ignorance), or even by Sattvagun (mode of goodness). Thus, we ourselves are responsible for increasing our desire for divine love. We have one mind, and there are two things that we may attain. One of these things is poison; the other is nectar. One is Maya; the other is God. We will have to accept one or the other. There is no third thing for us to accept. And we cannot do without accepting one or the other. We cannot remain inactive, because we have a natural desire to attain our ultimate aim. To fulfill our aim, we will have to go towards one side or the other. 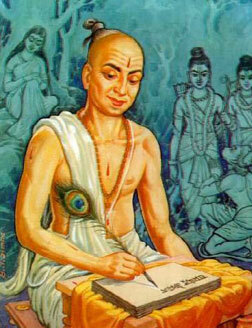 The Vedas say that we should go towards the correct side and attain our aim. Thus, there are three things that are very difficult to attain. Out of these three, we have already received two. We will have to work towards attaining the third thing. And that is the desire for divine love. And, as a human, you must keep one more thing in mind. What is that? There is no guarantee that you will live to see the next moment. Do not ever think - I am only ten years of age; I am only twenty; I am only forty; I am only fifty years of age. Do not think this. You are seeing for yourself what is happening in life. A child is born; he lets out a cry, and he dies. Or, he does not even get the opportunity to be born; he dies within the mother's womb. He is stillborn. You also see sometimes that a young man has just graduated from university. His parents are celebrating; they are being congratulated; sweets are being distributed, and the young man gets involved in an accident and dies on the way home. You are witnessing all this every single day. Therefore, you must think of your own demise. The biggest surprise is that we do not think of our own death. We are careless. We see billionaires, prime-ministers and presidents dying of heart-attacks. We see that death does not spare anyone, whether it is a king, a pauper or a saint. Everyone must leave the world one day. When will that day come? No one knows. Therefore, you should not procrastinate. Embrace the Godly path while in your childhood, because you may or may not live to see youth. But, what do we people do? We think, "I am still a child. Now is my time to study and to play." Then youth comes, and we think, "Now is my time to enjoy life and be frivolous." Thinking this way we meet our end one day. This has taken place innumerable times, not just once or twice. We have not managed to develop a strong desire for Godly love. We will be forced to revolve in 8.4 million forms of life for billions of years. Countless lives have already been wasted; countless more will be wasted. If we stubbornly persist in doing what our mind pleases, we will harm ourselves. It is true that we are free to perform actions of our choice, but we are not free to taste the fruits of our actions. We will have to bear the fruits of actions as given to us by God. This is why we should all become very careful we should stop procrastinating and should try to reach our destination. I shall leave the rest for some other time.